Procaine was first synthesized in 1905, and was the first injectable man-made local anesthetic used. It was created by the German chemist Alfred Einhorn (1857-1917) who gave the chemical the trade name Novocaine, from the Latin Novus (meaning New) and caine, a common ending for alkaloids used as anesthetics. It was introduced into medical use by surgeon Heinrich Braun (1862-1934). Procaine is used less today since more effective (and hypoallergenic) alternatives such as lidocaine (xylocaine) exist. Prior to the discovery frequentlyof procaine, cocaine was the most commonly used local anesthetic. Procaine (like cocaine) has the advantage of constricting blood vessels, which reduces bleeding, unlike other local anesthetics like lidocaine, and without the euphoric and addictive qualities of cocaine. Procaine, an ester anesthetic, is metabolized in the plasma by the enzyme pseudocholinesterase through hydrolysis into para-amino benzoic acid (PABA), which is then excreted by the kidneys into the urine. 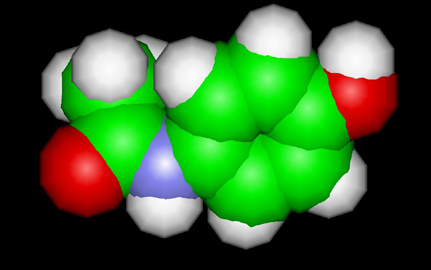 Allergic reactions to procaine are usually not in response to procaine itself, but to PABA. About 1 in 3000 people have an atypical form of pseudocholinesterase, which doesn't hydrolyze ester anesthetics such as procaine, resulting in a prolonged period of high levels of the anesthetic in the blood and increased toxicity.